Ovidiu Pop is back with another installment in the Driving School series. 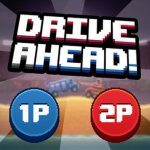 This Android/iOS game, Driving School 2016, allows you to learn how to drive various types of vehicles, including cars, trucks, and even buses. 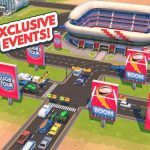 As you get “schooled” in driving these vehicles, you’ll go through different environments, including cities, highways, deserts, country roads, mountains, and more. There are more than 50 levels and a variety of driving situations, and if you feel like getting sporty or challenging yourself, the game says you can now use a stick shift – a manual transmission, in other words. (You can still opt for an automatic transmission, though.) You can also play in different game modes, including multiplayer, where you can race your friends, or other random players. If you need some help in getting all three licenses – car, truck, and bus – you’ll have to start at the beginning. That’s what we’re going to be focusing on in this guide, so if you’re a newbie driver, fasten your seatbelt and get ready for these Driving School 2016 tips and strategies for first-timers. We didn’t mean to “lampshade” this tip with the last sentence on the overview. Because really, it is important that you first buckle up before starting a level. You can choose to drive without your seatbelt fastened, but if you do, you’ll lose precious experience points. 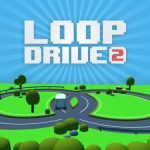 Buckle up before driving, because this game strives to be as realistic a driving school simulator as possible, and it penalizes you for poor or incorrect driving practices. As a bonus tip, use your blinker when starting out if you’re pulling onto the road. Again, it’s all about safe and prudent driving here. There are different settings available for drivers in this game, and if you’re starting out, you might want to go for an automatic transmission. If you’re more experienced or want to enjoy the full sportiness of some of the more powerful cars in the game, then go with a manual. The manual option comes with a clutch pedal that makes it more challenging when you’re accelerating. And as for the steering, you can opt to drive with the steering wheel, to tilt your device, or to tap left and right on your screen. We recommend the latter method for beginners, though it will all depend on you at the end of the day. Don’t try to bite off more than you can chew. You may be curious about multiplayer, or you may want to try your luck with a manual transmission, but before you actually go for that, try things out on free play mode first. This is also highly recommended if you’ve got a more powerful, or simply different or unusual vehicle compared to the one you were previously using. You want to test your new ride out before things get serious. For example, a Bugatti or a McLaren would be best tested out in free play mode, as it’s very easy to crash such a fast and furious ride. Accumulating experience points is the easiest way to unlock new cars, and you can add to your XP by completing new levels or replaying old ones you’ve already completed. Once you’ve reached certain milestones, a new car will be unlocked. You can also pay coins for them if waiting isn’t exactly your style. The ad video option is thankfully available here, as you can tap on the present icon, then tap on Reward Video to pull up an advertisement. Completing the ad video will earn you five free coins, though if you have enough real-life money, you can always pay actual cash to get a coin package. The same applies for new cars. That’s it for now, as far as our Driving School 2016 tips and tricks are concerned. Know more hints for the game? If you do know tips that we haven’t listed in this guide, then be sure to let us know! unfortunately my play games has been uninstall and my buying cars is deleted .how can we restore them.